So we’ve tackled the dessert/accessory and aesthetics portion of the lifting topics with my previous thoughts and opinions on dumbbells and various cable machine attachments, Now we’ll go towards the meat and potatoes/strength and mass side of lifting with the foundation of practically everyone’s true source to the beginning of their birth into the lifting realm… The Coveted Barbell and as a bonus I’ll throw in some other bars that hit the back that I own as well. 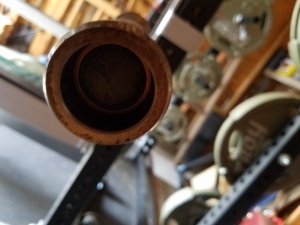 First before I get to the arsenal of bars listed, I’ll start by saying that the back is an all too important part of the human body that often gets neglected by some beginners on their mission to get big and strong (Mainly the strictly bench press and biceps curl crowd)… That has got to STOP!!! The back is what holds us upright especially when being evened out with the all too popular chest development and prevents and protects from forward slouching, it even helps with benching big numbers as well as having a broad, strong foundation for holding the bar nice and stable on squats and I’ll even go on to say that one should have a 3:1 pull to push ratio in their routine, the back is that important! For the aesthetics gang being that it’s a huge muscle group, hitting the back makes you that much more bigger and powerful (when combined with the other compound muscle groups being worked). 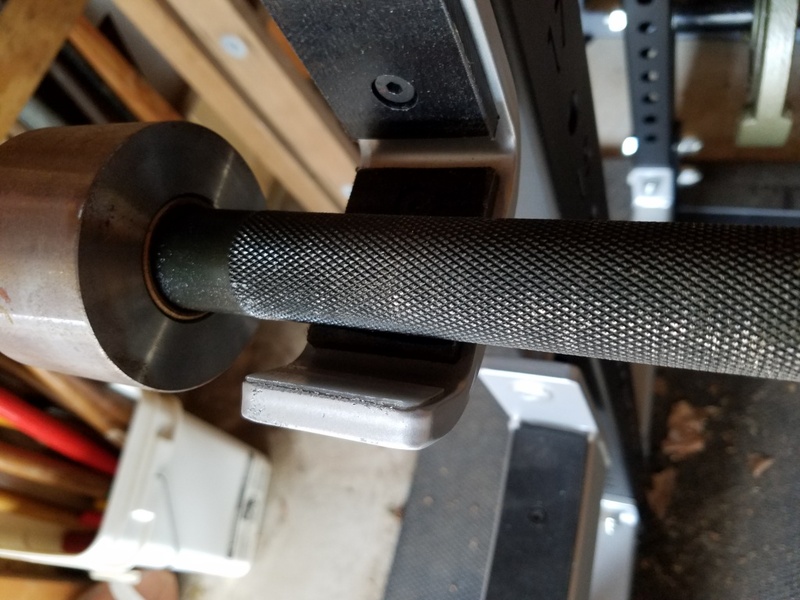 My main and only primary barbell that I use so far for all my main lifts, the TPB weighs 44 lbs by itself (but every true lifter rounds the infamous TPB to 45 lbs anyway, so lets go with that), it is the perfect all around bar at 7′ in length and fits perfectly in my garage, the bar shaft diameter is 28.5 mm which I find perfect for pulling movements when hitting the back muscles (feels awesome on barbell rows and deadlifts), the knurling has a good amount of aggressive bite to it which I find perfect and grips well to my hands on every movement I use it for. 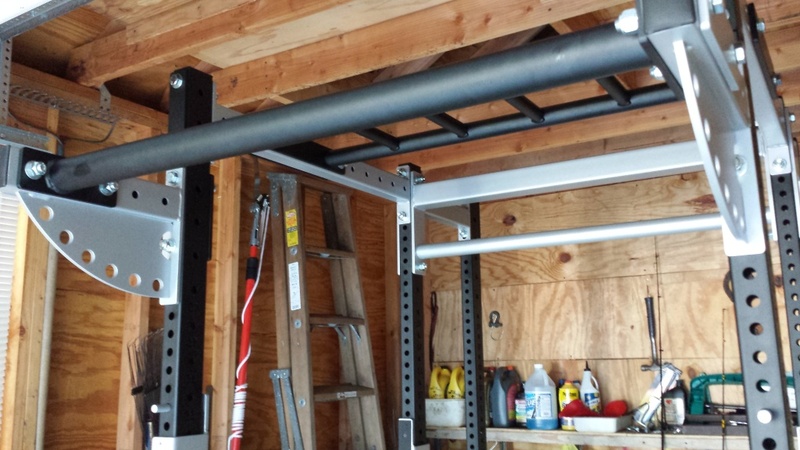 The black zinc finish is a nice touch and protects the bar quite a bit from the elements inside my garage. 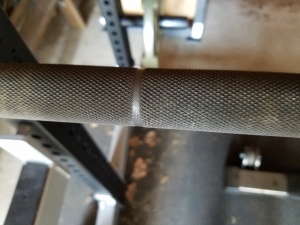 Since the squat trains the back hard as well, I’ll add that the 4″ center knurling grips to the back perfectly when I low bar squat with it. I don’t do olympic style lifting personally, so this power bar meets my standards and exceeds my expectations for my strength training goals and at a 1500 lb static test load it was the perfect “Buy once type of bar” and I think the pricing is definitely justifiable for what you get out of this bar. 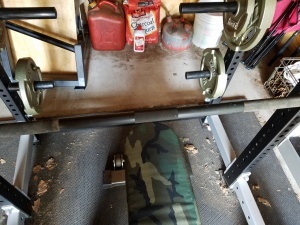 Overall it has held up well considering what I’ve been putting it through in the years I’ve had it, it’s a stiff power bar and with 16 ½” loadable raw finished lightly ribbed sleeves it holds plenty of iron plates and is guaranteed to hold more than most of the population and I can lift! On a side note, I bought the Troy version of the TPB at the time, in retrospect I probably would have went with the Buddy Capp’s version if I was aware it was the original incarnation of the bar at the time, but from what I have read, the only real difference between the two are the plain black end caps on the Troy version and on the Buddy Capp’s version the state of Texas embroidering the black end caps and the variable pricing depending on each ones source/websites selling them. Editor’s Note: Troy’s version has confused many of us – It turns out the Troy TPB is the actual Capps TPB, which Troy would purchase and add end caps to for re-branding purposes. Troy never made their own TPB. They stopped doing that and no longer sell it, moving instead to their uniquely made but similarly named “Troy Texas Bar”, model AOB-2000T. 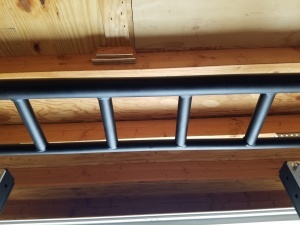 In my case I have a lot of variety of pull up bars up top on my power rack (a monkey chin bar with one side of the bar 1.25″ diameter and the other side 1.5″ thick and with two pairs of neutral grips (one set wide and one set narrow both pairs at 1.25″ diameter) and up front (on a front porch attachment) a 2.3″ fat grip pull up bar…needless to say this is overkill as far as options go, but I enjoy the variety when I got these options on my custom power rack back in 2015 (some of these options are accessible to the power rack attachment crowd out there through certain companies), but even if you have one version of pull up bar it’s by far one of the best back focused pieces you can get (plus you still get pull ups and chin ups with the traditional version of the bar). The pull up primarily hits the upper back and the traps to some degree with biceps to a lesser degree with a pronated (palms forward grip). The chin up hammers the lats and biceps more with a supinated (palms facing towards you grip). Neutral grip pull ups/chin ups (palms facing each other from various width grips) is a hybrid of both movements, so they hit a bit of everything mentioned above on both pull ups and chin ups, but with forearm involvement included due to the angle of the grip (the more narrow the grip on neutral the more forearms get involved, the wider the neutral grip the more the back gets involved during the movement), the other great benefit of neutral grips is that they are easier on the shoulders than traditional pronated style pull ups. Various sized fat grip pull ups and chin ups train your grip strength the most with some involvement of the above mentioned muscles (especially the forearms), these are an ideal accessory for “Strongman” type training as well as better grip strength carry over on pulling movements such as the deadlift. Another variation of pull up is the obscure commando pull up where you stand directly under a traditional straight pull up bar and stand either to your right, or your left and you grab the bar one hand overhead facing forward from its side and the opposite hand overhead facing forward from its side both hands grasped the around the bar like fists gripped next to each other (one hand in front of the other pressed flush to each other overhead), from a dead hang pull yourself up to the left side of the bar and alternate by pulling yourself to the right of the bar, that’s 1 rep when each side is complete. This movement works the arms and back from a different angle, I don’t use this movement as much anymore, but it’s still an awesome movement and tests your stability. I personally dig the pull up bar, which is why I chose so many at the time! Hahaha, it not only has a lot of carry over to the barbell row and deadlift, but it also gives you another dimension of pulling in your routine (our bodies are meant to push and pull things in many directions of angles) and vertical and horizontal pulls keeps the back healthy and strong for the long haul, plus it’s an excellent tool for building the back and making the bar easier to hold on the back for squats in my opinion. Another great thing with the pull up bar is that it is all you pulling your own bodyweight through gravity (and even more than your weight with a weighted dip belt), no assistance just you against you which equates to a true feat of strength! 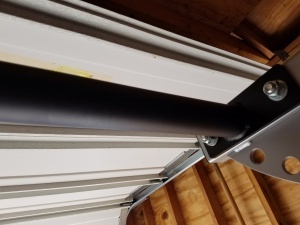 This is not your typical trapbar, it’s a heavy-duty 69 lb thick steel square tubing bar that is rackable with flat/flush 1.25″ “Waved” 15 degree internally rotated angled handles with an aggressive sharp knurled grip on each handle, the bar is 88.25″ in length, raw smooth sleeve finish and rackable and is claimed to be a hybrid of a trapbar deadlift and a trapbar squat. 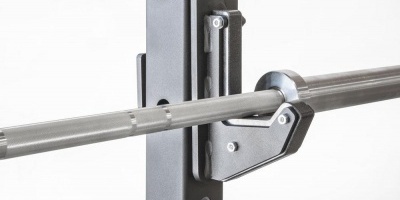 This specialty trapbar can hold up to an insane 969 lbs in weight with twenty 45 lb iron plates (including the weight of the bar), 1120 lbs with 100 lb plates and the sleeves do not rotate on this bar. 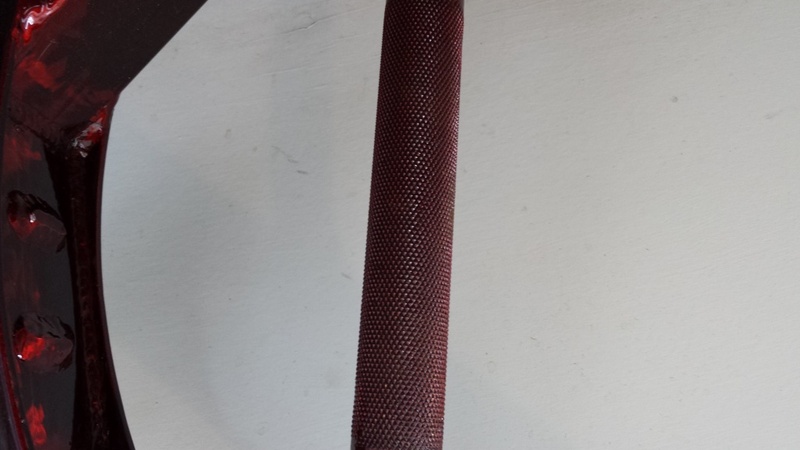 It keeps your low back flat and keeps you more upright and prevents it from rounding on trapbar deadlifts and prevents the shins from getting scraped up unlike conventional straight bar deadlifts, it also feels great on farmer’s walks as sort of a frame styled carry which helps with core conditioning and tests the grips integrity to its threshold! 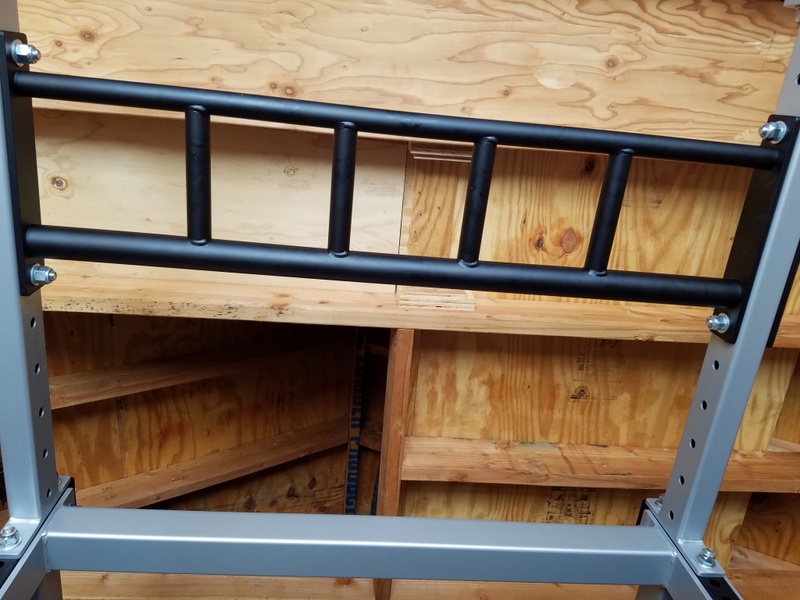 The two drawback of this bar is the space it takes up (due to its cumbersome and unorthodox shape) and the pricing…even with the 10, or 15% I saved off of it at the time, this is still an expensive specialty trapbar and even though it’s “Overbuilt” and holds a lot of weight, and has a durable powder coat (which you can get in red, blue, black, or clear coat), it might make some turn to a cheaper alternative (such as the Cap, Titan, or Vulcan Hex Bar) which I believe they have a maximum 500 lb capacity on them if going that route. 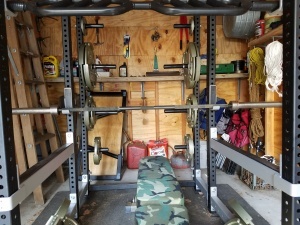 All in all I would say this bar would be perfectly geared towards the lifter interested in hypertrophy/bodybuilding (for safely doing high volume trapbar deadlifts as well as uniquely angled Trapbar rows) and for the strength enthusiast that lifts various loaded objects (such as the trapbar for heavily loaded farmer’s walks/frame carries) and has its place in a back focused routine depending on your goals. So Tony, is a trapbar essential? Definitely not. Tony be honest, is a trapbar nice to have? Absolutely, if you have the room for one and want to add another dimension to your training routine, or want to save some mileage on your back to train a bit safer. 1. Buddy Capp’s Texas Power Bar- As old-school of a bar as you can get, with a fresh touch on the black zinc coat to protect the bar from the elements. 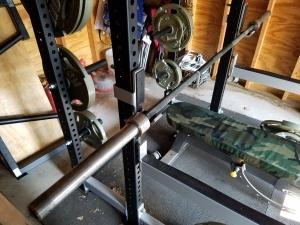 The bar is as tough as it gets and is the “Back bone” power bar to any true lifter’s strength training weaponry and in my opinion is fairly priced for what you get, plus the diameter at 28.5 mm is perfect for pulling movements. On a side note, due to Troy changing the end caps to re-brand the TPB as their own at the time when they were selling them (from the editor’s note above), I just found out that from purchasing my TPB years back that I actually got the Buddy Capp’s version of the TPB which rocks and explains why the bar is so excellently made, cause it’s made by the guy who built it! (I know there’s a lot of other great power bars out there as well and perhaps if I get another one, or some to try out, I’ll give them a future review respectively as well). 2. Pull up bars (of any configuration)- Nothing beats pulling your own weight and then some, not only is it a pure test of strength, but is also great for conditioning and back health…not to mention hanging from a pull up bar decompresses the spine as well! 3. T-Nation’s Biotest Dead-Squat Bar- High volume trapbar deadlifts can be done with this bar and for the person chasing hypertrophy it’s worth its weight in gold! 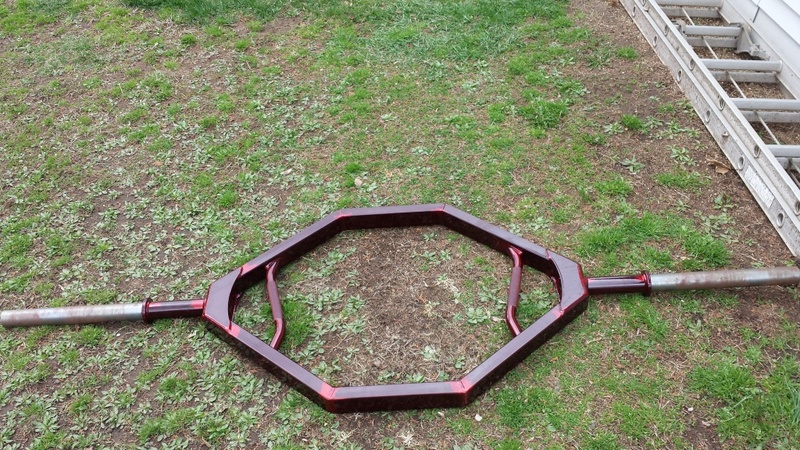 I also like that it gives you a different dimension of lifting angles, is versatile and can protect the back in the long run as an alternative to conventional deadlifts, or squats, it also rocks for heavy farmer’s walks. The pricing and cumbersome nature of this piece are the main cons I can think of on this bar, but if you can look past those two issues the bar is built like a tank and can take anything you can throw at it. In conclusion, aligning yourself with the classics is the best path to reaching your physical strength and fitness goals and while new “Hi-Tech” pieces come along and are a good element to add here and there, the tried and true classics will never steer you wrong if you put them ahead of the rest.